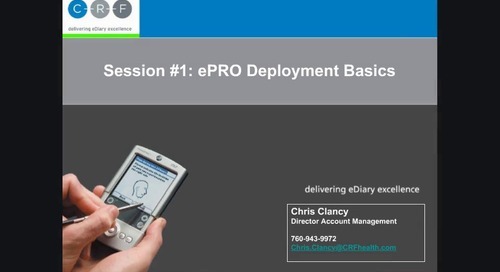 This webinar covers the various technical, logistical, cultural, linguistic, and regulatory challenges that may arise when deploying ePRO in certain geographic locations and ways to overcome them. 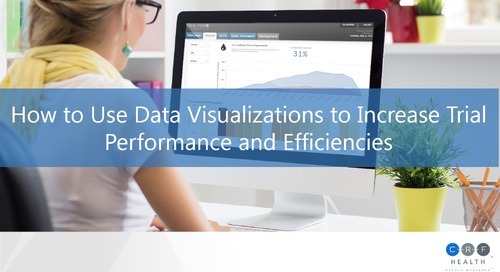 We also review last month's survey results. 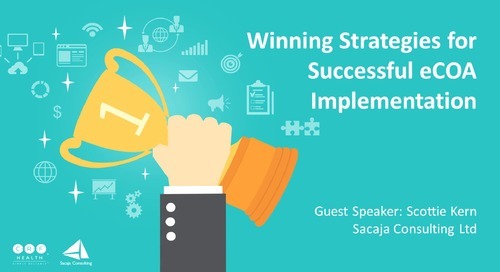 Our guest presenter is Kristina Ernberg. 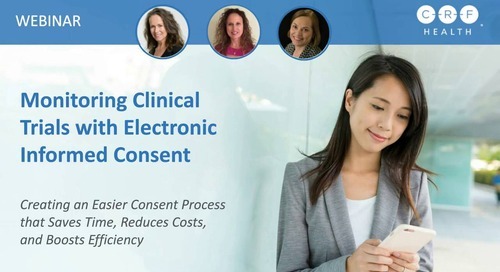 During this webinar, informed consent experts with decades of hands-on monitoring experience discuss the challenges they’ve encountered and how to overcome them with the integration of eConsent. 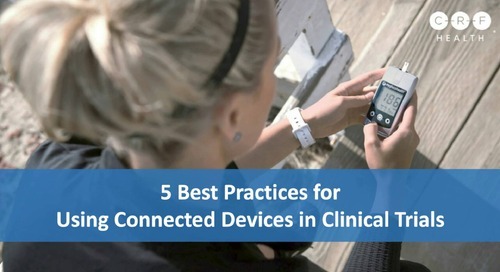 Learn how you can use new technology in your clinical trials with remote patient monitoring, connected devices, and digital health tools. 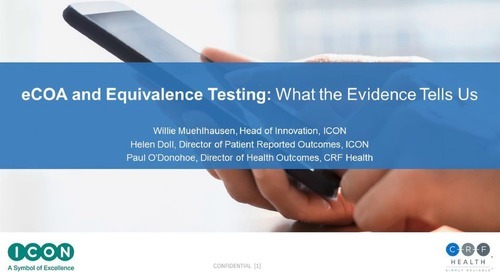 In this webinar, CRF Health's Sandra "SAM" Sather is joined by Giga Smith from Coastal Carolina Healthcare (CCHC) to discuss Electronic Informed Consent (eConsent) from the research site perspective. 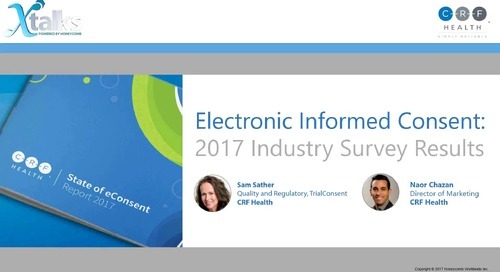 Sam Sather, Regulatory & Quality Lead for TrialConsent™, discusses survey findings from the State of eConsent 2017 Report. 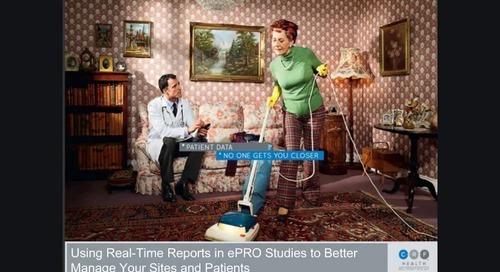 Find out why 82% of pharma companies are projected to adopt eConsent by 2020. 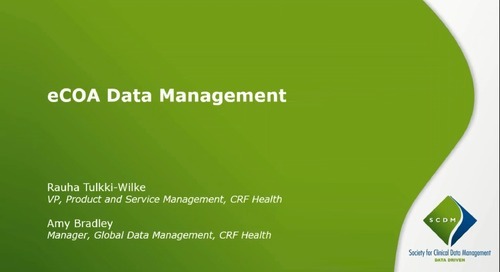 Speakers from Chesapeake IRB and CRF Health discuss informed consent oversight and visibility. 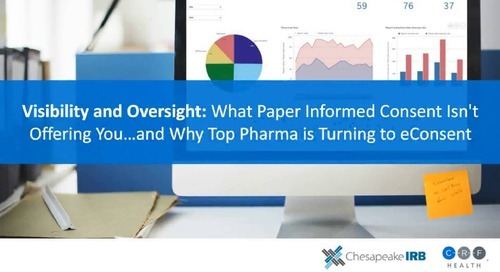 See how electronic informed consent (eConsent) enables top pharma companies achieve greater transparency. 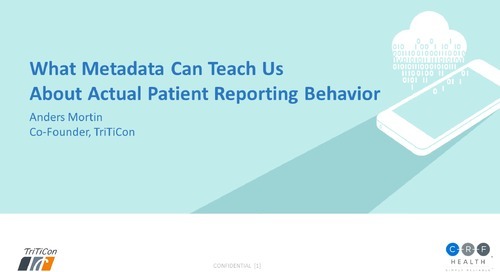 Does your clinical trial’s informed consent process stand up under regulatory scrutiny? 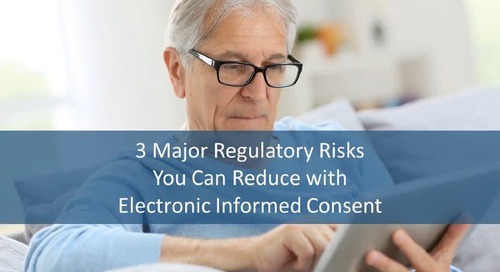 Learn how eConsent can help to mitigate such risks as approval delay, fines, litigation, even trial failure. 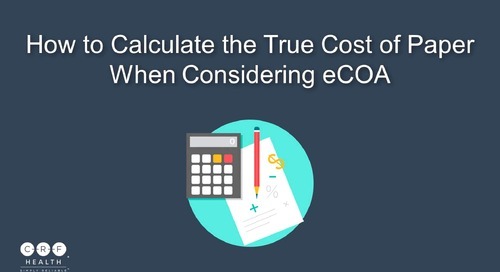 Some clinical trial sponsors fear the cost of eCOA will be prohibitive. 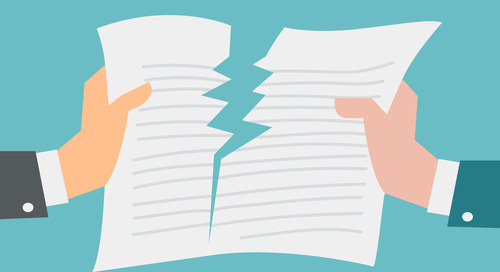 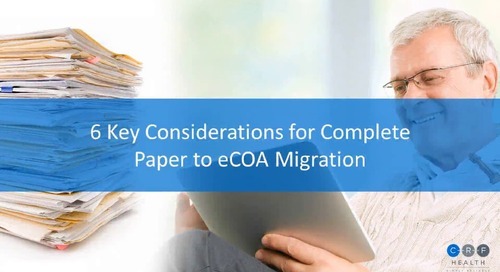 We unpack the expense of paper data capture and compare it with the cost, and potential value benefits, of electronic modes. 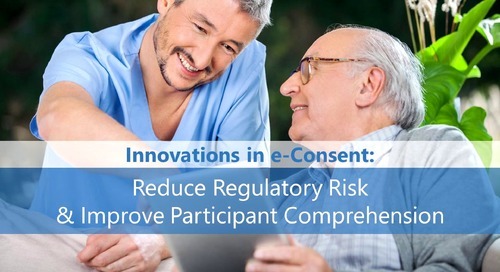 As regulatory agencies push for more effective informed consent processes in clinical trials, eConsent can mitigate regulatory risk, while improving patient comprehension, compliance, and retention. 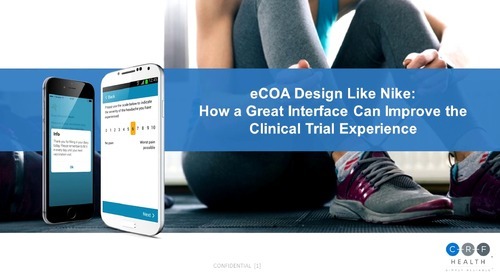 Paul Margerison demonstrates how principles of user experience design, used by companies like Nike, can be applied to eCOA to improve patient recruitment, compliance, and retention in clinical trials. 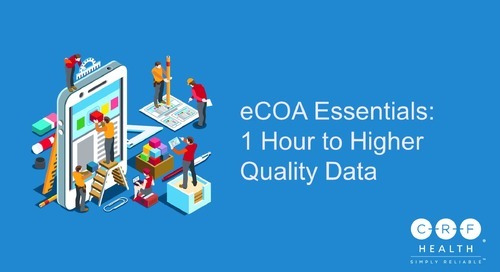 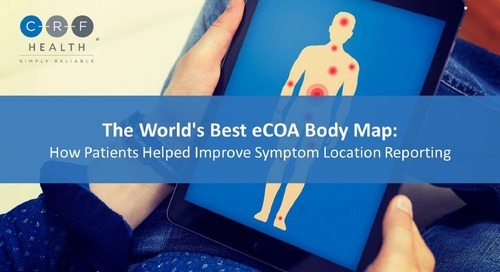 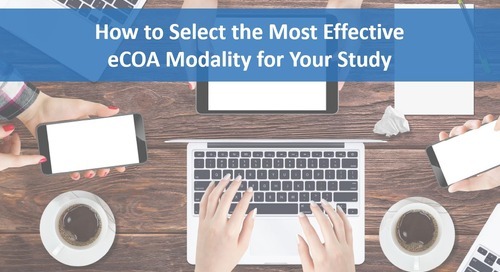 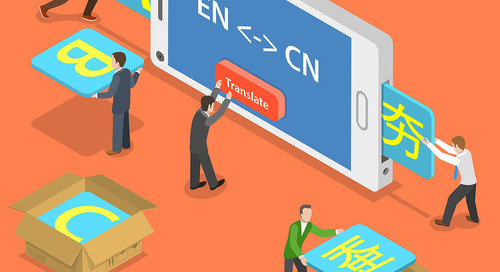 For global clinical trials, eCOA instruments must be translated and then validated. 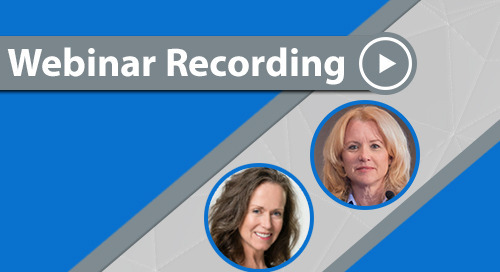 This webinar provides insight into the regulations, timelines, and best practices related to linguistic validation.